I'm still working my way through The Better Angels of Our Nature: Why Violence Has Declined, which is an amazing book so far -- about how violence has declined throughout history due to effective governance, the growth of commerce and the spread of ideas. I see a lot of Facebook's work in these themes. The more we all have a voice to share our perspectives, the more empathy we have for each other and the more we respect each other's rights. Similarly, the more we benefit from global commerce and the services others provide us, the greater our incentive is to keep each other safe as it improves our lives. 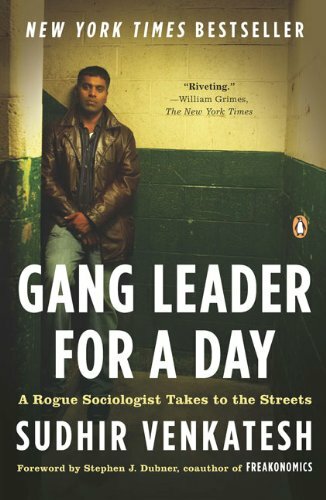 Gang Leader for a Day is loosely related to the themes Better Angels in that it explores what life is like for those who don't live under effective governance. I'm looking forward to reading this and finishing up Better Angels. Get notified when book 4 is available by joining the club. Are you a book blogger? If you write editorial content about Zuck's books, we'll feature those links on our site. A Year of Books is part of the Written Word Media family.